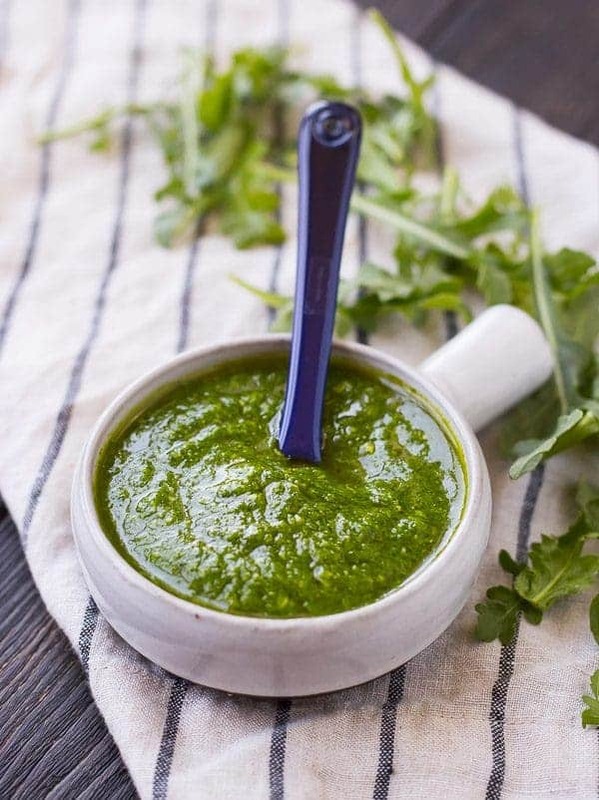 Switch up your pesto game with this arugula pesto. It’s great on pasta, pizza, and so much more! 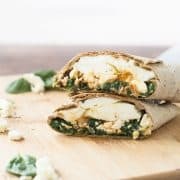 The first time I tried arugula, I hated it. I thought, why is this green stuff spicy? But eventually, as I have with many things, I grew to love it. 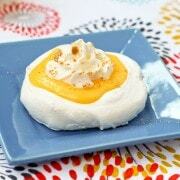 The bold flavor it brings is such an asset in so many recipes. 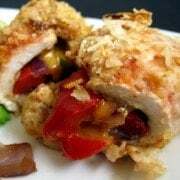 Toss a pile on top of pizza, serve it with a baked chimichanga, stir it into soup or pasta sauce, or of course, make a killer salad with it! Or of course, make arugula pesto out of it. I’m obsessed with this pesto, you guys. I love the spice that arugula has – it’s not a hot spicy, just enough to wake up your taste buds a bit. 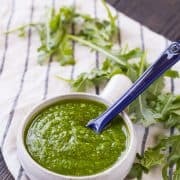 Also in this pesto is lemon juice, which adds a refreshing brightness to contrast that subtle spiciness from the arugula. You’ll want to pick a high-quality olive oil because it gives this pesto tons of great flavor. Don’t skimp! 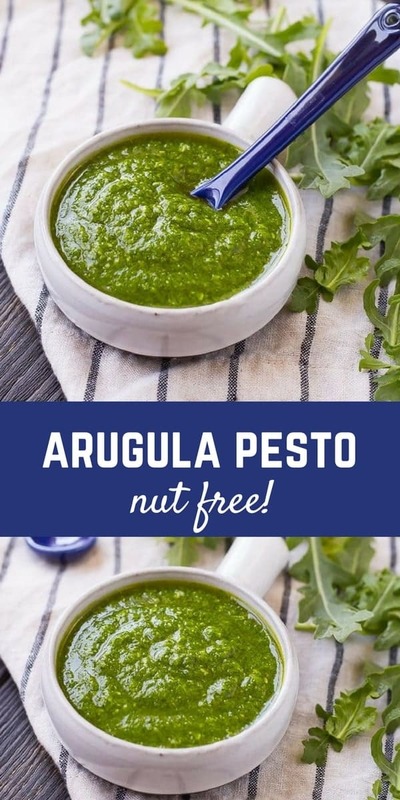 I kept it nut-free because that’s how we have to do things at my house, but if you’re fortunate enough to be able to eat nuts, this would be great with a handful of walnuts, pine nuts, or almonds tossed into the food processor or blender. 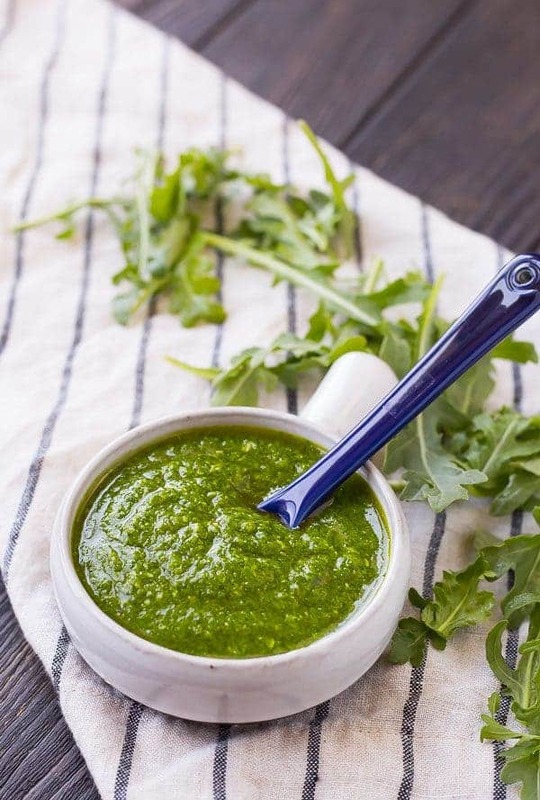 This arugula pesto is the base of a grilled pizza I have coming up for you next week that you are not going to want to miss. I feel bad making you wait for it! It would also be fantastic stirred into pasta (I’m thinking with some nice Italian sausage and tons of fresh vegetables). Know what else it would be fabulous for? Dipping bread. Forget plain ol’ olive oil. 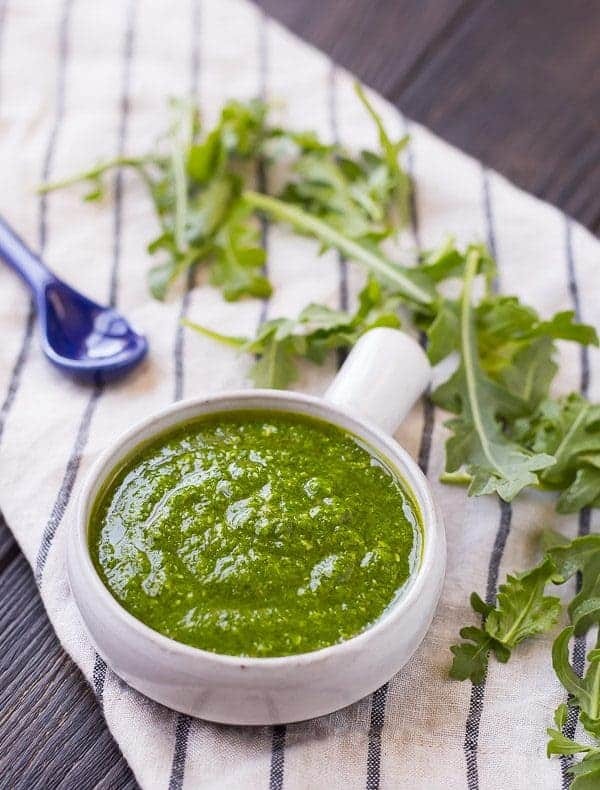 Ooooooh the damage I could do with this arugula pesto and a loaf of french bread. Just pass me all the carbs and no one gets hurt. Combine arugula, garlic, lemon juice, red pepper flakes and parmesan cheese in a blender or a small food processor. Pulse until combined and then with the blender or food processor on, drizzle in olive oil until a pesto forms, scraping down sides as needed. Verdict: This is definitely a new go-to for me. Husband’s take: Ben loves this!